2. Are Utility Connection Fees Deductible on Income Tax? Employers usually provide the basic services and equipment workers need to perform their job duties, but employees may incur certain job-related expenses without any reimbursement from an employer. A variety of common work expenses are tax-deductible as miscellaneous unreimbursed employee expenses. You can claim a deduction on unreimbursed employee expenses only if the expenses exceed 2 percent of your adjusted gross income. The cost of operating a home office is tax-deductible if you use the office regularly and exclusively as a principle place of business or to meet with clients and customers. If you are an employee, you must use the office for the convenience of your employer to take the deduction. Expenses directly related to the home office, like repairs to the office and office supplies, are fully deductible. Expenses shared between the office and the rest of the home, such as general repairs and utilities, are deductible at a ratio equal to the area of the office divided by the area of the home. For instance, if your office takes up 10 percent of your home's total area, you can deduct 10 percent of shared expenses. Work-related travel and transportation that are not reimbursed are tax-deductible. Deductible business travel costs include airfare, lodging, public transportation, tips and half of meal costs. The business use of a personal vehicle, such as using your own car to drive from a primary office to secondary workplaces or driving to meet clients and customers, is also deductible. The deduction for use of a vehicle is equal to your actual car expenses or your total business-related mileage times a standard mileage rate. The standard mileage rate is 55.5 cents per mile for the 2012 tax year. The cost of commuting to your regular workplace is not deductible. The cost of work-related clothing you buy is tax-deductible, with certain restrictions. Work clothing is only deductible if it is required for your work and not suitable for everyday wear. For instance, a delivery worker can deduct the cost of a company uniform, since a uniform is not suitable for everyday wear. On the other hand, a businessman can't deduct the cost of a suit, since a suit is acceptable attire outside of work. 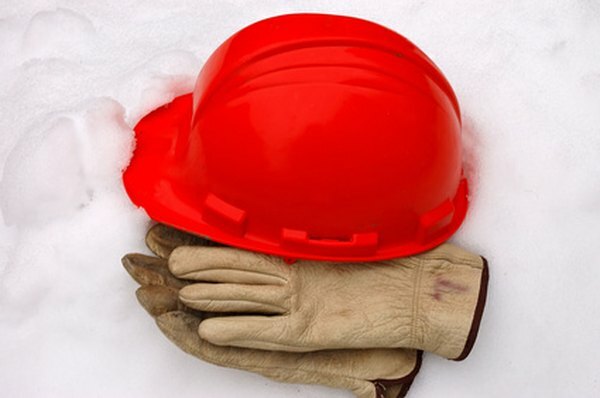 The cost of hardhats, safety glasses, gloves, safety boots and other protective clothing is deductible. Dues and fees paid to unions and professional organizations are tax-deductible. You can deduct monthly union dues as well as union initiation fees. Dues paid to bar associations, medical associations, trade boards, business leagues and trade associations are also deductible.